I made dinner last night and I have to share this recipe. It was in the top ten.. maybe even top 5 of meals I've made. In my entire life. The flavor was awesome and is a dish we'll definitely make again. Isn't it pretty? The red pepper makes it so colorful! It's an easy going video and they focus on other muscles in other videos too - I just have this video. I also like that there are different options - 20, 30, and 40 minutes on the DVD so I adjust depending on how much time I have. I also had my first few glasses of prune juice this week to help digestively. I chugged one glass and found I preferred that method so I didn't taste it as much! It was great to rid of bloating and keep things moving.. if you know what I mean. Stupid IBS. We did not get along this week. I love this idea for all the ticket stubs I keep! This is a great idea for washing fruit with a vinegar mixture and making it last longer in the fridge. Cut your veggies (I didn't do this and was scurrying around the kitchen to do it!). Once you get started, it all moves quickly. 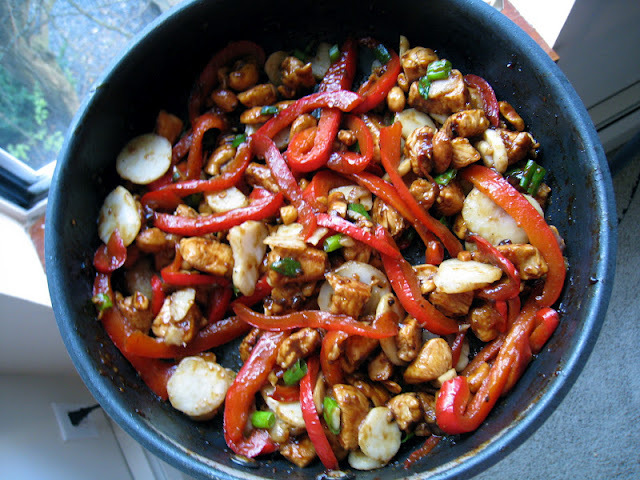 Mix broth, cornstarch, sugar, soy sauce, vinegar and red pepper; set aside. Heat wok or 12-inch skillet over high heat. Add oil; rotate to coat. 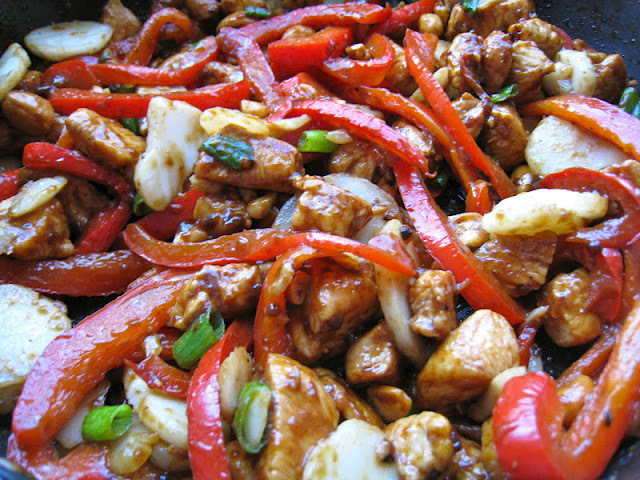 Add chicken, garlic and ginger root (use caution, the oil pops in the beginning); stir-fry about 3 minutes or until chicken is no longer pink in center. 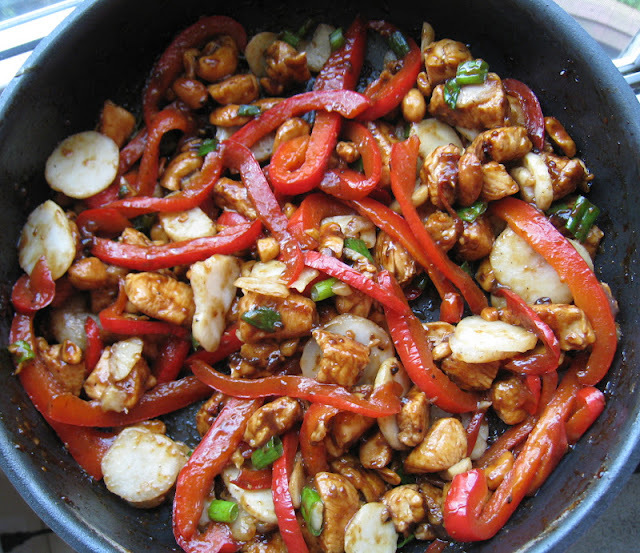 Add bell pepper; stir-fry 1 minute. Add broth mixture to wok. Cook and stir about 1 minute or until sauce is thickened. Stir in peanuts and water chestnuts (optional). Sprinkle with onions. There you have it! It's delicious. As I write this post, I keep going to the fridge to snack on leftovers of this meal. It's sooo good. Here's today's Smile themed Pinspiration!